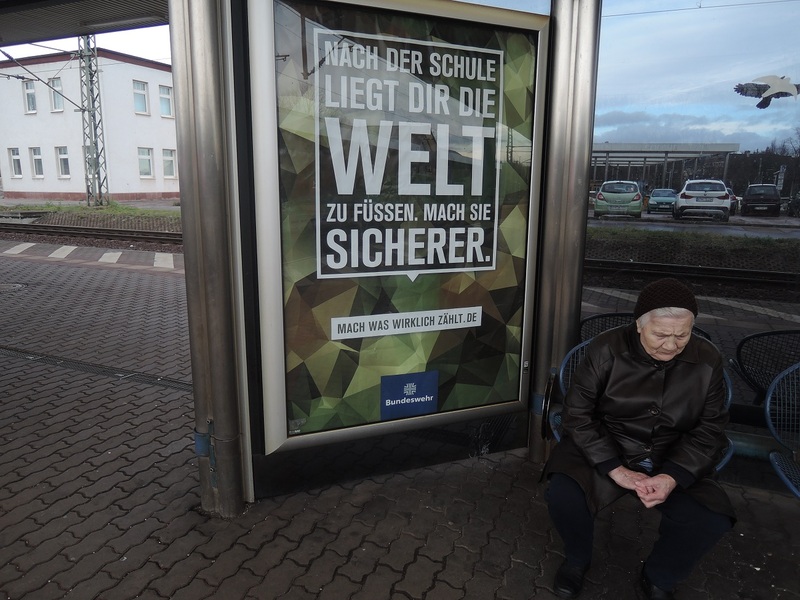 These are the present calls to register for the German Army and to get involved in the “global war on terrorism” — pictures taken at Gotha’s train station, 2015. 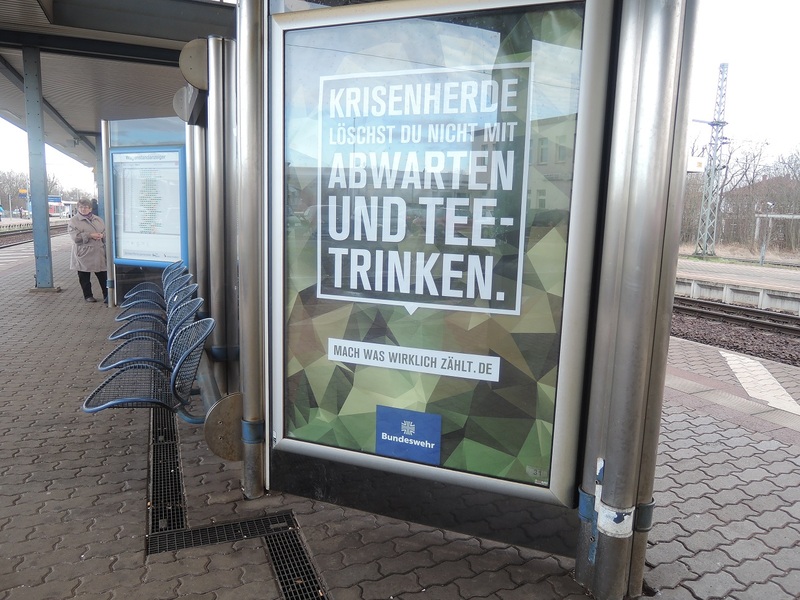 Krisenherde löschst Du nicht mit Abwarten und Tee-Trinken. Mach was wirklich zählt Bundeswehr. Nach der Schule liegt dir die Welt zu Füßen. Mach sie sicherer. Mach was wirklich zählt. Bundeswehr. Imagine for a second a group of German terrorists had killed people in Kabul or Damaskus and now we had air strikes of an Arabian coalition on German cities — in order to “make Germany and the world a safer place”. With whom would you side? The world is lying at our feet, the nice perspective of the diva who has all her admirers stretched out at her feet. We are making friends again. 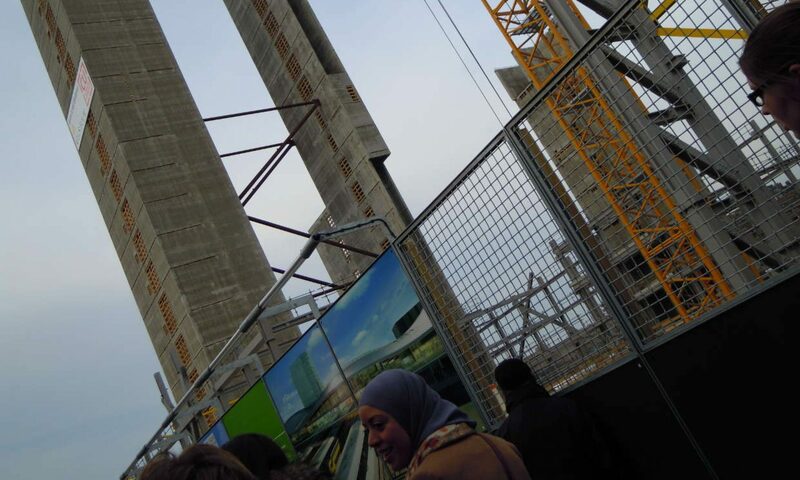 I could not win my Syrian Facebook friend and fellow Wikipedian to write about the present situation. “We have some few hours of electricity per day, the Web is hardly accessible. Things have tightened up and the reports of the Bassel case have not helped…” and I can hardly imagine the rest.